The Boston area home buying market may feel the effects of the Federal Reserve’s recent decision to raise interest rates… or not. The Fed increased the rate on federal funds for banks by .25%, the first such increase in over seven years. What does that mean for people contemplating purchasing a home? Boston Area Home Buying: What’s Next? 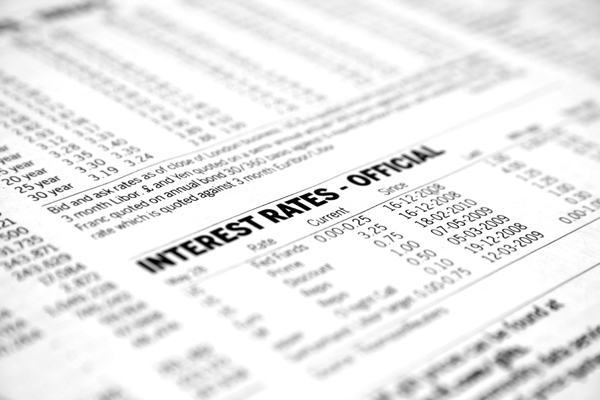 As part of an overall strategy to allow the market to recover from the 2008 housing crash, the Federal Reserve purposely kept interest rates low. For months new home buyers have anticipated a rate increase. That’s given many an incentive to buy or refinance existing mortgages before rates went up. However, a slight interest rate increase isn’t likely to deter buyers from continuing to shop for homes. 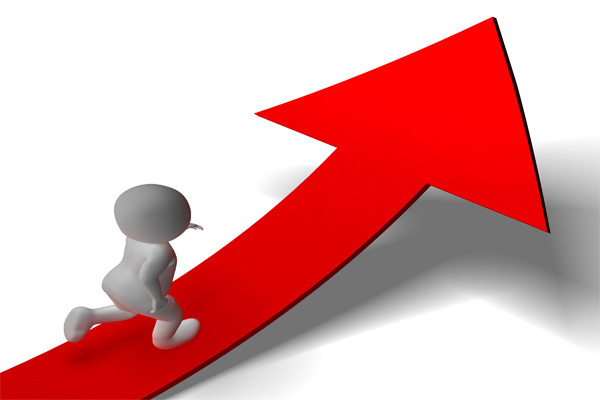 If anything, it may continue to make them aware that interest rates could be on the rise and now is the time to buy. The increase in the Federal Reserve rate won’t affect you all that much. There’s little correlation between the Fed’s interest rate and mortgage interest rates. Economists argue that rates on new mortgages have fluctuated throughout the entire year without any change in the Federal Reserve’s policy until recently. They cite, for example, a movement of 70 basis points (.70%) in the 30-year fixed rate mortgage loan category during 2015. Higher rates don’t mean mortgage lending will tighten up. Because the Fed’s rate hike was so small, it’s not likely to prevent homebuyers from being able to purchase. There are mortgage products available for most every financial situation — from low down payment requirements to still-attractive fixed rate 30-year conventional loans. Higher rates may motivate you to act. Some economists expect interest rates to rise in 2016 by as much as 1%. While the increases will probably be small, they may serve as the “nudge” that some Boston area home buyers need to get off the fence and get serious about buying. Higher interest rates may keep home values in line with wage increases. Home values increased dramatically in some markets during 2015. This appreciation rose higher and faster than wage increases, making it harder for many Americans to afford to buy. The rise in interest rates typically slows the rate of home appreciation. This will allow wages the opportunity to “catch up” with real estate appreciation, making homes more affordable. If you have an adjustable-rate mortgage, you probably shouldn’t worry. You probably don’t have an ARM. Experts say 85-90% of mortgage originations in the past two years were for 30-year fixed rate loans. Homeowners that may have had an ARM likely refinanced during 2015 expecting a possible rate increase. If you have an ARM don’t worry. Most ARMs have a locked interest rate between 5-7 years. The rate will remain unaffected during that period. Even if you’ve passed that timeframe, chances are the rate increases in 2016 will be small. If you’re still worried about the future, a fixed-rate refinancing is always an option. Continue to shop around for the best deal. Just as the Boston area home buying process involves looking for the home that best suits their needs, you should do the same when loan shopping. Find the loan program that fits you and your financial situation. Shop around. Ask questions. Compare rates and lenders. Get more information on Boston area home buying by checking out our other articles in the Boston area Home Buying Tips section just beneath Boston area Real Estate Categories to your right. And be sure to check us out on Facebook and Twitter. We post daily tips there. Boston area mortgage loan experts say over 6 million people nationwide will buy homes next year. Statistics expect roughly 2 million will be first-time homebuyers. Both first-time buyers and others always wrestle with whether or not to pay “discount points” on their mortgage. The Boston Area Mortgage Loan: Points? Just what the heck are discount points, anyway? Mortgage discount points are a one-time, upfront closing cost designed to discount the existing mortgage interest rate. One point is equal to 1% of your loan amount. Your interest rate is normally reduced by .25% for each discount point. 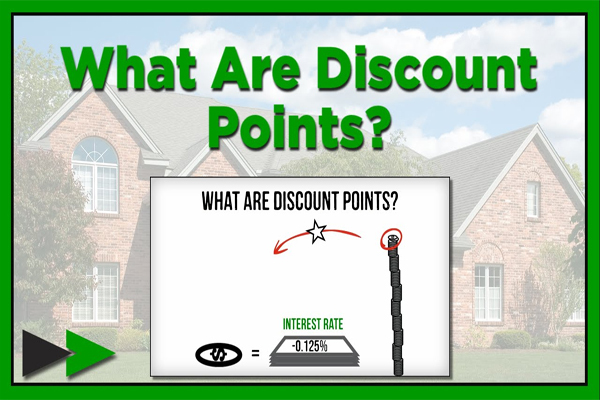 Since paying discount points lowers your interest rate, the process is often called “buying down” your rate. As an example, on a mortgage amount of $400,000 at 4% interest, you could elect to pay one discount point or $4,000 and lower your interest rate to 3.75%. For a borrower planning to be in that home for as long as a 30-year term, the interest savings over the life of the loan can be substantial. Should you pay discount points? The answer is a resounding “that depends.” Paying discount points can be expensive. Plus, it will mean you have to come up with more money at the loan closing. Still, it may make sense — especially if you can negotiate with the seller for him to pay part or all of the closing costs. Paying points to lower your mortgage interest rate could be a good investment over time. However, if you plan to sell your home in a few years or refinance your mortgage you probably won’t recoup the amount you paid in discount points. Because discount points are used to “buy down” your interest rate, they are usually tax-deductible. Mortgage experts recommend you consider paying discount points as a luxury, not a necessity. If paying one or more points puts you in a bind by requiring you to pay additional money at the closing, it’s probably best not to do it. Okay, what’s next? Consult your real estate agent about concessions the seller may make as part of your offer to purchase a home. You never know what you may get until you ask. Discuss discount points with your Boston area mortgage loan professional to find out your best course of action. Get more up to date news and tips on Boston area mortgage loans by checking out our other articles under the Boston Area Mortgage Info section just below Boston Real Estate Categories to your right. We also post periodic information about mortgages on Facebook and Twitter… follow us there as well. A loan closing attorney who, when reviewing the documents with a new Boston area mortgage borrower, used to jokingly say, “You’re welcome to read all these forms, and if you find anything in your favor the lender will be happy to correct that mistake!” Of course, he was only joking and he used that line as an ice-breaker. However, it’s very important that you review your closing documents to make sure they are correct. Remember, you’re going to be asked to sign almost every document you’ll see in the loan closing paperwork. You will be responsible for everything in those agreements. With mortgage terms up to 30 years, that’s a long-term commitment. While most mortgage lenders are careful to make sure documents are accurate, mistakes do occur. One real estate expert says she has yet to see a loan closing where there wasn’t at least one typo, numerical error or other mistake. Her advice is to hope for the best and prepare for the worst. The recent TRID (Truth in Lending/Real Estate Settlement Procedures Act Integrated Disclosure) rules require lenders to give borrowers Closing Disclosures at least three days before the loan closing. Mortgage insiders say borrowers should double-check three key areas: the loan amount, the personal and property information and the interest rate. If you find an error, call your lender as soon as possible. It will either be corrected or new documents will be drawn up. If the mistake is serious, the lender may be required to restart the three-day disclosure period and delaying the loan closing. Such a delay could create a “domino effect” if the sellers need the proceeds from the closing to purchase their new house. One last Boston area mortgage loan closing tip — and it may be the most important – remember this: “Read twice, sign once.” Correcting the mistake may prevent problems later. Find more tips and articles on Boston area mortgage loans to your right in the Boston Mortgage Info section just below Boston Real Estate Categories. And follow us on Facebook and Twitter for daily news and tips we post there. Will Boston Area Interest Rates Rise in December? Anticipation and speculation over if and when the Fed will raise interest rates has been a hot topic. Housing experts have largely agreed that even a slight bump in Boston area interest rates would not have much impact on home mortgage rates. Still, the Fed is considering the possibility of a rate hike before the end of the year. Yellen’s meeting before the House committee occurred one week after the Fed decided not to raise rates during October. Yellen cited the U.S. economy as “performing well,” saying domestic spending was increasing at a good rate. However, she cautioned that net exports and trade performance were slowing. She also referenced poor job gains in recent months. There were 64,000 fewer jobs added in September than had been projected. The U.S. economy added 271,000 jobs in October, and strong hiring drove unemployment figures down to 5%. These and other factors may cause the Fed to raise Boston area interest rates during December. The Fed chair reiterated there had been no firm decision made to raise interest rates in December. The decision will be based largely on the review of new data collected between now and then. Among the chief components of that data is one more jobs report for November. Whether Boston area interest rates will be affected will depend on how the Fed interprets the findings. It’s important to note there is little correlation between a modest interest rate hike by the Fed and actual Boston area interest rates for mortgage loans. Historically, mortgage lending experts say a slight increase hasn’t had a big impact on home loan rates. A quarter-point rate increase on a $250,000 mortgage only increases the monthly payment by roughly $35. Lenders say it usually takes an increase of a full percentage point to have a noticeable effect on consumers. Find more news that may affect Boston area interest rates in our Boston Real Estate News section to your right under Boston Real Estate Categories. We also post news and tips each day on Twitter and Facebook. Follow us there for up to the minute news on Boston area interest rates and mortgage news. With the Federal Reserve being on the verge of raising Boston area interest rates for the first time in several years, at least one economist says there is little to fear. Mortgage rates will stay low for a good while, says the Wall Street Journal’s chief economics correspondent, Jon Hilsenrath, even if the Fed does decide in favor of a rate hike. 1. The U.S. economy and, indeed, the global economy remain relatively weak, meaning the Fed won’t raise rates substantially in that environment. 2. The Fed has already said they don’t expect a big move primarily because inflation is so low. Hilsenrath also points to the fact that we are entering a period of what will be a very slow progression of follow-up interest rate increases. The last time the Federal Reserve raised the interest rates, from 2004-2006, there wasn’t much of an increase in Boston area interest rates for mortgage loans, and the U.S. actually experienced a housing boom. Historically, therefore, he sees a precedent that most likely will be repeated — or, at a minimum, will not affect housing’s continued improvement. Asked if the Fed does increase Boston area interest rates, will prospective home buyers rush to take action fearing other increases may occur, Hilsenrath said he doesn’t anticipate consumers will react out of fear. He thinks people will simply realize a rate increase “didn’t mean the world will end” and will go about their daily lives as if little had changed. When asked about whether it was a good time for mortgage holders to refinance, Hilsenrath said the time for consumers to refinance is when it feels right to them. If there’s an opportunity now, people should probably take advantage of it. Get more Boston area mortgage tips and information by following us on Twitter and Facebook.